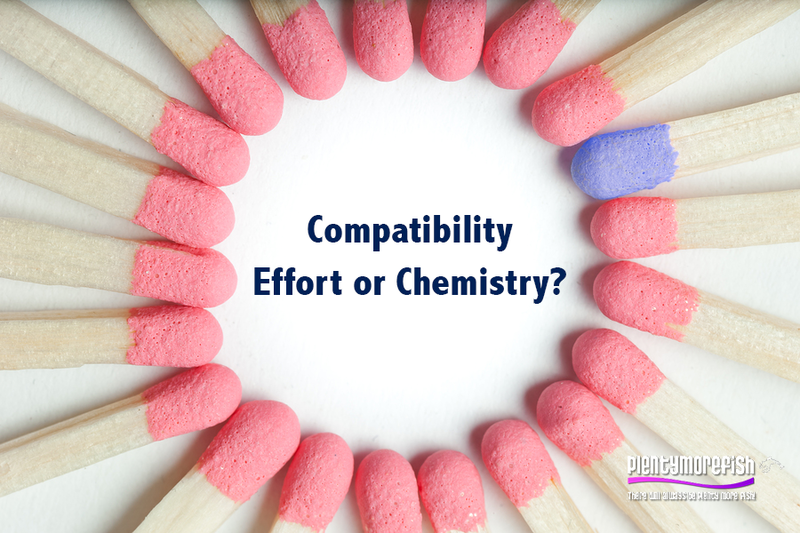 Compatibility – Effort or Chemistry? Every once in awhile you meet someone you fancy the pants off and the chemistry between you is tangible. It’s like electricity and you feel you have met your soulmate. You fall head over heels for this person and the world turns into a cotton candy coloured bouncy castle with zero gravity. There’s no denying it, you are in love. The first stages of love are the most wonderful moments a person can experience but the can also cloud your perception of reality. Whilst there may be undeniable physical chemistry between you, it doesn’t necessarily mean you are compatible. And if you are looking for a long term relationship, chemistry will only get you so far. Once the initial stage of ‘love goggles’ wears off, reality sets in and you start to understand the other person more clearly, their beliefs and values, what makes them happy and what not. When these values and beliefs don’t match up with your own, trouble may be ahead. Successful relationships take work and require effort and commitment on both sides and having the same values in life goes a long way to creating a solid foundation. Values – Our values are personal to us and affect us at a deep subconscious level. Everything we do and every decision we make is based on our values. They are our guide to what is important to us and can include concepts like education, effort, equality, honesty, perseverance, loyalty, faithfulness…etc. Beliefs – Our beliefs on the other hand are our assumptions we make about the world around us. They are shaped by what we see, hear, experience, read and think about and they apply not only how we see ourselves but also how we see other people. Beliefs can be changed, whereas values are part of who you are. Your values and beliefs make you unique, if you live your life and relationships in conflict with them you will inevitably end up unhappy. To understand what you need in order to be happy is probably the best advice we can give towards finding lasting love. When you know yourself, you will attract the right person into your life. It’s like wearing the correct prescription glasses; suddenly things become more clear and your focus is sharper. Why not take some time out for yourself this week and seek to understand your values and beliefs? It will go a long way to help you find happiness and love and you deserve both.